It s over. Our time in The Army is done. We are ready to sign over the house, pack up our stuff and off we go, lock stock and barrel to civvy street . That s it, right? We re ex-Army now, in charge of our own future, our own destiny; for the first time in twenty years. Well, no, not exactly. Not really.We d survived The Falklands, The Cold War, the troubles in Ireland and embraced Perestroika and Glasnost throughout Europe. We d moved home so many times that I d lost count, but Military retirement, well that took real courage. One large leap and a tiny step, out into the unknown.From house hunting to job hunting, via builder mania and the tourist trap , wonky wardrobes, angry waiters, lost dogs and the almost explosion, we were truly on our way. No one said it would be easy, and we encountered everything they list on the de-mob leaflet, and much more besides. Follow the journey, try the recipes and share also in the tears and the laughter of a mostly capable and sometimes inventive, ex-army wife. Campbell family style. 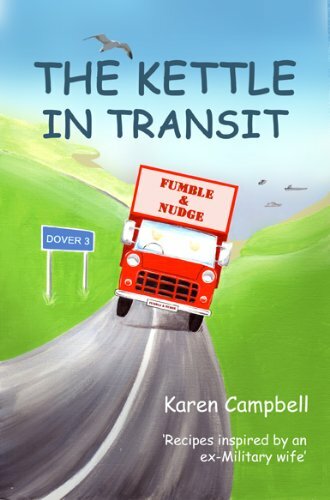 Karen Campbell has spent many of her adult years employed in the financial sector, both in the UK and overseas. Her first book, Don t Forget the Kettle was inspired by a desire to capture the past, after one too many glasses of wine whilst on holiday in the South of France. Thanks to the support of her publisher and the benevolence of her employer, she continues the Campbell family saga in this, her second book.